Plantation, FL (August 20, 2014) – Chetu Inc., Inc. magazine today ranked Chetu Inc. NO. 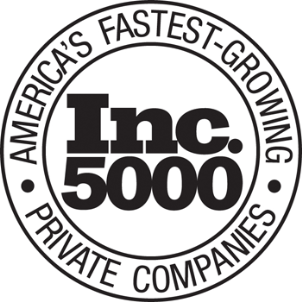 2038 on its 33rd annual Inc. 500|5000, an exclusive ranking of the nation's fastest-growing private companies. The list represents the most comprehensive look at the most important segment of the economy—America's independent entrepreneurs. Companies such as Yelp, Pandora, Timberland, Dell, Domino's Pizza, LinkedIn, Zillow, and many other well-known names gained early exposure as members of the Inc. 500|5000. "We are honored to be recognized by Inc. Magazine in this year's ranking, and to be listed for 3 years in a row is an amazing accomplishment. We accept this award on behalf of our fantastic team of employees who work very hard to deliver an outstanding customer experience to our clients," stated Atal Bansal, CEO of Chetu Inc. Founded in 1979 and acquired in 2005 by Mansueto Ventures, Inc. is the only major brand dedicated exclusively to owners and managers of growing private companies, with the aim to deliver real solutions for today's innovative company builders. Total monthly audience reach for the brand has grown significantly from 2,000,000 in 2010 to over 6,000,000 today. For more information, visit http://www.inc.com .